Click here to order Electric, Plumbing, Rigging, Telephone and Cleaning. Smart City Networks is the Vendor for Wi-Fi & Telecommunications services, click here to order. 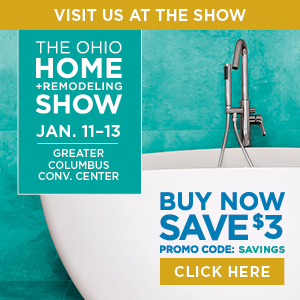 To reserve your parking spot for the Ohio Home and Remodeling Show, visit Greater Columbus Convention Center SpotHero Parking Page and book a spot with rates up to 50% off drive-up.